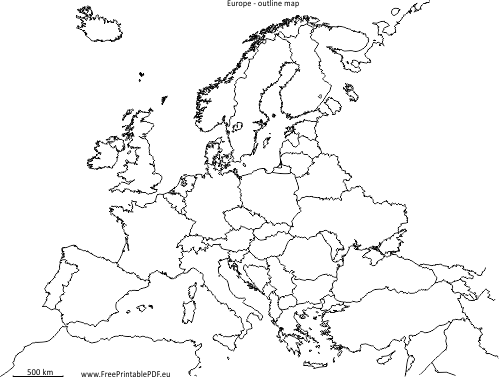 Free map of the European continent with countries' borders. Useful during geography lessons to check the knowledge of the shapes of the borders of Europe. Map may be used to come up with a variety of tasks in the field of geographic knowledge. For example you can write names of individual countries, to color the countries that have visited, mark the locations of the various capitals etc. The map is a vector format, ideal for printing. Just save PDF to disk and print.